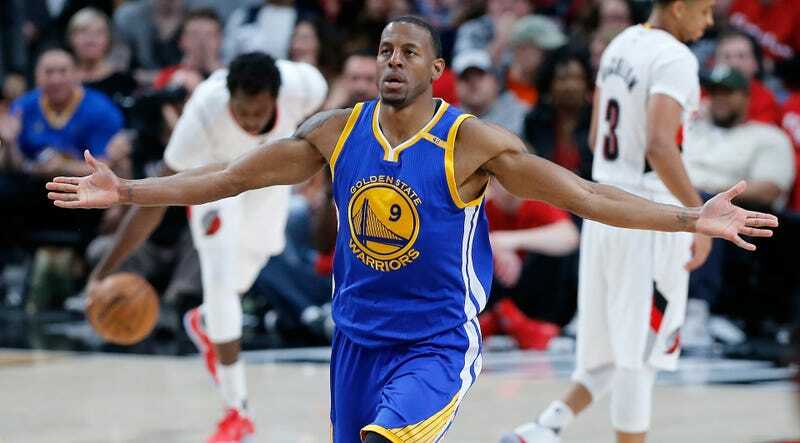 The Warriors recently put the finishing touches on a sweep of the Portland Trail Blazers, and they had to wait almost a full week to find out whether they’d be playing the Clippers or the Jazz in the second round. A Warriors-Jazz series is a much more interesting prospect, because even if the Clippers and Warriors despise each other, Golden State has them so comically spooked that any animosity would be buried under an avalanche 20-point first-half deficits. Utah offers the ageless Joe Johnson, a legitimate home-court advantage, and the outlandishly shaped Rudy Gobert. The Warriors, however, seem bummed out that they missed some time in Los Angeles. In response, Jazz forward Joe Ingles jokingly suggested that Warriors players could just go to Las Vegas if they really wanted. While I’m sure clubbing wasn’t the sole or even primary reason, Matt Barnes did say that the team was hoping to stay in California and play the Clippers. Draymond Green and Steph Curry both noted that nightlife isn’t much of a concern to them in the playoffs, while Kevin Durant and acting coach Mike Brown even offered faint praise of Salt Lake City. Whatever Utah lacks in nightlife, it makes up for in altitude. Perhaps the club inclined will be fresher for staying in, but they’ll have to play above 4,000 feet. In the most interesting anecdote from media availability, Green said he had been eating more red meat to keep his red blood cell count high. If he needs more food recommendations, he can always hit up Boris Diaw. Is Gordon Hayward Good Enough To Give The Warriors Some Trouble?